NATO Secretary General believes that Ankara has suffered more than any other NATO member from the crisis in the Middle East. As such, the alliance has decided to work out a new "package" of measures to strengthen Turkey's military capacities, Stoltenberg said. NATO will help its ally, Turkey, to build up its air defense capacities, said NATO Secretary General Jens Stoltenberg in an interview with a number of European media, the German newspaper Die Welt wrote. According to Stoltenberg, Turkey is in a more difficult situation than other members of the alliance due to the fact that it has a common border with Iraq and Syria. 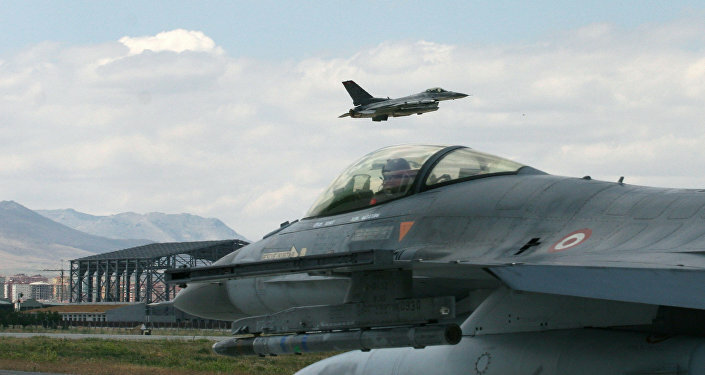 “NATO will help Turkey to improve its air defense. We had already had a military presence in Turkey and along the border with Syria before the Russian jet was shot down. And we will adopt a package of measures for Turkey before Christmas,” Stoltenberg said. On November 24, a Russian Su-24 bomber was brought down by a Turkish air-to-air missile while carrying out precision strikes on terrorist positions in northern Syria. Russian President Vladimir Putin called the attack a "stab in the back" and imposed a number of economic restrictions against Turkey. Turkish authorities claim that the Russian plane entered its airspace and that the attack was nothing but a measure of defense. Replying to the question about the incident, Stoltenberg said that "each country has the right to defend its territorial integrity and airspace." Earlier, both Russian and Syrian defense officials confirmed that the Su-24 never crossed into Turkish airspace, and was illegally downed in Syria.